High performance aluminium windows with innovative designs and bespoke glazing options for both contemporary or period applications. 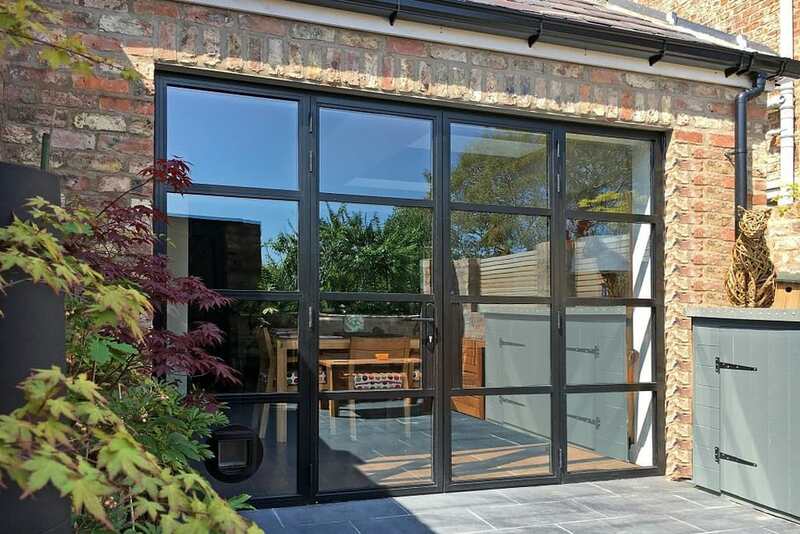 A versatile range of residential, bi-fold, sliding, steel replacement and commercial aluminium doors. aluminium windows and aluminium doors for domestic and commercial customers. Aluminium Bi-fold Doors, Aluminium Heritage Windows and Traditional Steel Replacement Windows. 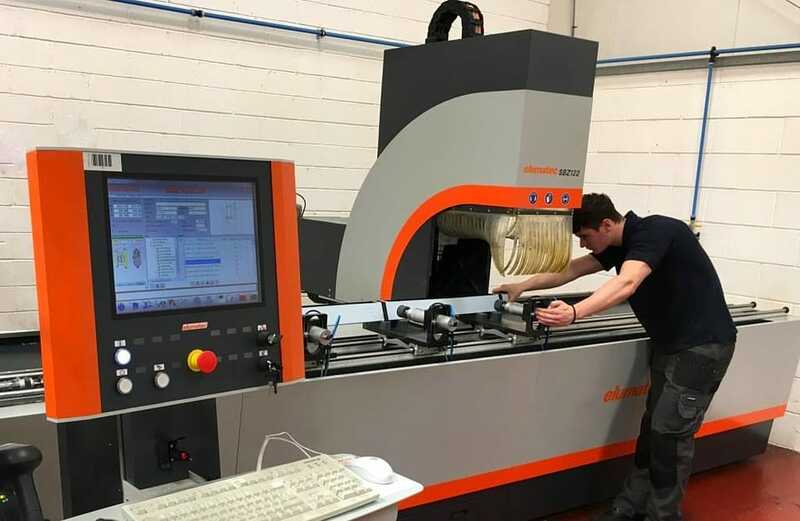 "impressed with the care you took to ensure the finish enhanced the newly fitted kitchen"
To guarantee the highest quality paint finish all of our aluminium products are polyester powder coated to Qualicoat standards by our glazing systems suppliers. We are members of the Saint-Gobain Planitherm Installer Network and only use Planitherm glass in our insulated glass units. This high performance glass product is specially manufactured by Saint-Gobain Glass (SGG) for the UK market place and is the best selling high performance low emissivity (low E) glass in Europe. As approved members of CERTASS and Trustmark we have been strictly vetted to ensure that we are qualified to conduct surveys, design glazing schemes and to carry out the replacement of windows and doors in accordance with current building regulations. With a 25 year guarantee available on powder coated paint finishes and 5 years on our insulated glass units we believe that our warranty package is the best in the industry. Our 10 year manufacturing and installation warranty is insurance underwritten - for complete peace of mind. Watch highlight of our fabulous Heritage Doors featured on George Clarkeâ€™s Old House New Home. Featuring a range of our aluminium windows, doors and sliding doors installed at a listed building on Channel 4's Grand Designs. Our beautiful Bi-fold Doors and windows to feature in a new series of Love Your Home & Garden with Alan Titchmarsh on ITV. Marlin Windows feature in Hawksworth Moor Reservoir redevelopment project. 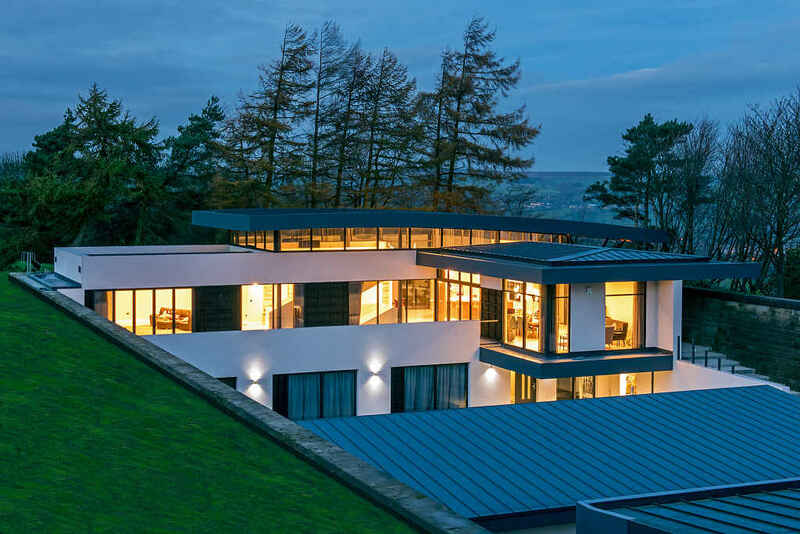 Prestigious contemporary aluminium window and bi-fold door project in Ilkley, Yorkshire. Our windows and doors feature in local Ilkley, Skipton, Halifax, Bradford, Leeds, Shipley & Keighley properties. Also further afield in Yorkshire from Harrogate to Huddersfield, Sheffield, Wakefield and York. Outside of Yorkshire we have supplied and installed glazing solutions from Nottingham to the Lake District. We also supply to London and the South.